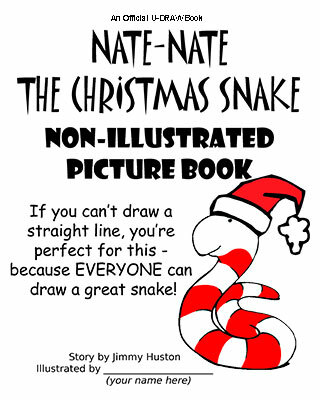 On this page, you can order the different versions of Nate-Nate the Christmas Snake. 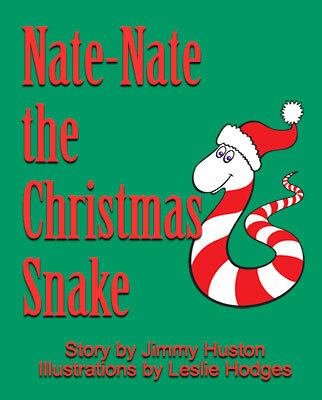 Nate-Nate the Christmas Snake's story, and wonderful new illustrations by Leslie Hodges. for young artists to fill in their own illustrations of the story. as well as a very special audio book that is in the works. And, there are more books coming with other adventures of Nate-Nate and his friends. We hope to have them available soon, but to be honest, Nate-Nate is a very slow typist.